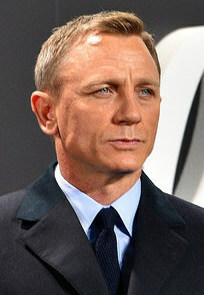 Daniel Wroughton Craig — angliyalik aktyor. James Bond rolininig ijrochisi. 2015 f Yulduzlar urushi Star Wars: The Force Awakens Script error: No such module "Unsubst".